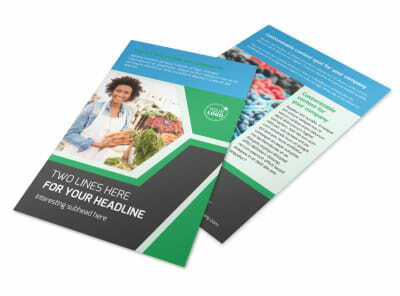 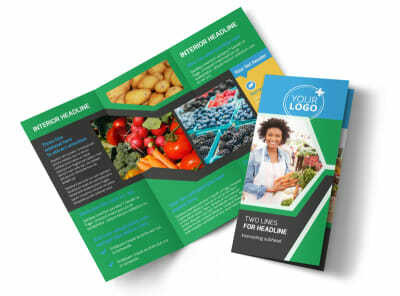 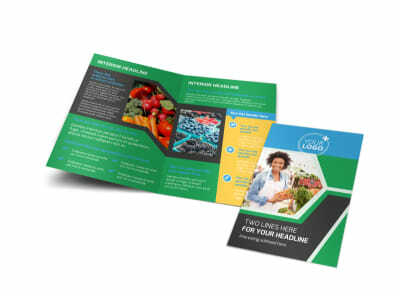 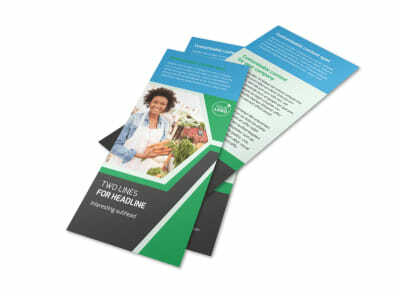 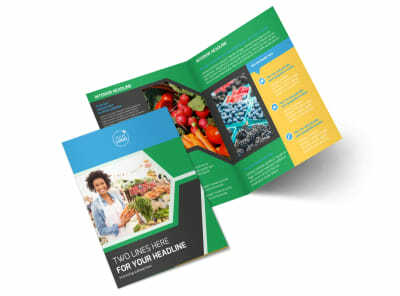 Customize our Fresh Farmers Market Flyer Template and more! 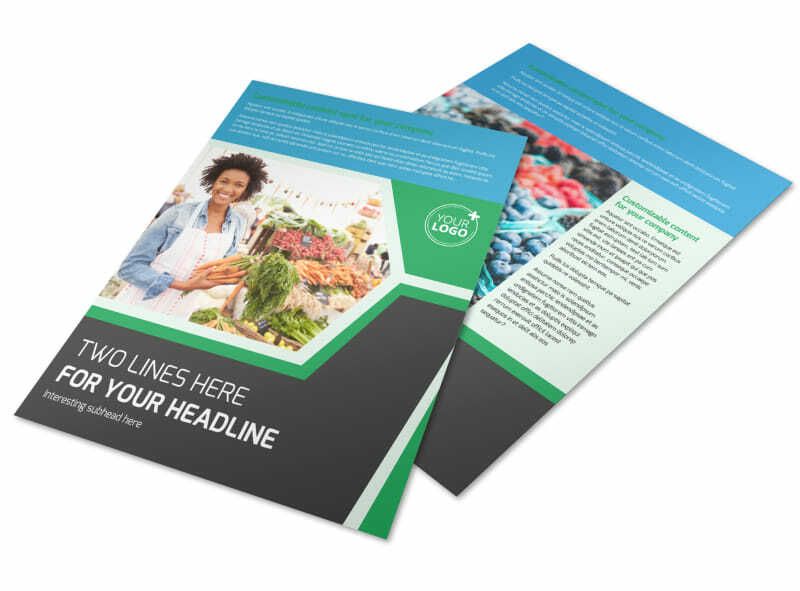 Remind the locals that fresh produce is at hand with beautiful fresh farmers market flyers you customize using our online editor and beautiful templates. 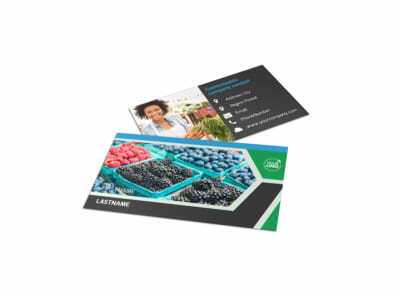 Use custom text to outline the types of vegetables, fruits and other commodities that you sell, and list out your hours of operation, location, and other information customers need in order to patronize your market. 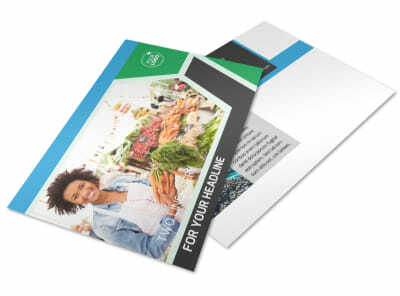 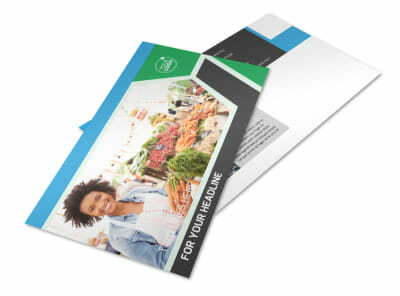 Upload high-res photos or graphics to drive home your design, and then print your flyers from any location using your own equipment so that you can get them in the mail faster.